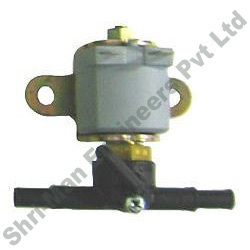 The Gas And Petrol Solenoid Valves, offered by us are manufactured using highly advanced technologies pertaining in the automobile industries. These valves assist in cutting off and controlling the flow of Petrol in the combustion chamber of the automobile engine during operation. Working Pressure: 1500 mm W.C. Looking for Petrol Solenoid Valve ?